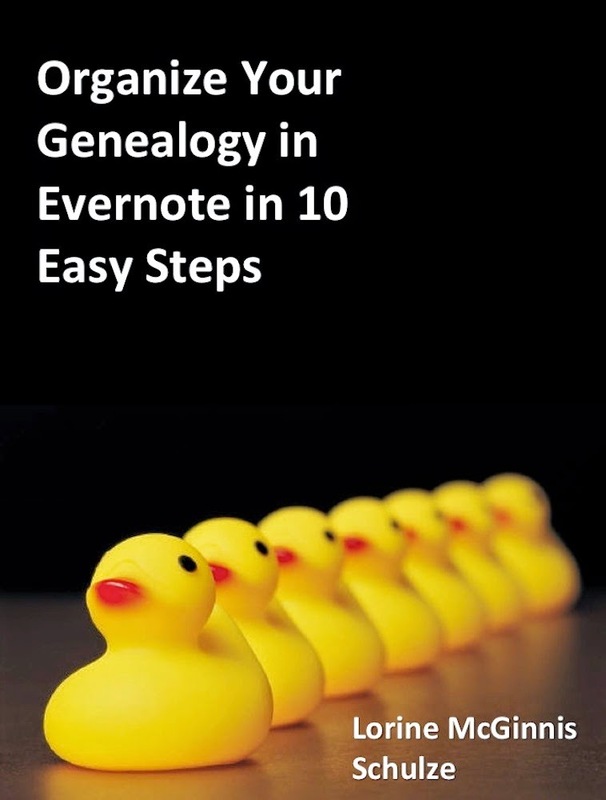 This 22 page book is a step by step guide to using Evernote to organize your genealogy files in 10 easy steps. You will learn how to create notes, how to set up notebooks, how to create stacks, the benefits of tags and how to set up a hierarchical structure for them, how to create virtual genealogy binders, how to merge Notes, easy ways to transfer your computer files into an Evernote Note, and more. You will be able to follow each step to create your own Genealogy Notebooks full of your research (documents, photos, audio files, and more) on all your ancestors. Following these 10 steps your Genealogy files will be organized, easily accessible and readily available to share with others if desired. Please note that Kindle books can be read on any Kindle device, on iPhone, iPad, PC, Mac, Android device, BlackBerry, and Windows Phone 7, and through the Kindle Cloud Reader.